When Gary Vincent was a kid, he and his family spent their summers in Laconia, New Hampshire. There, on the shores of Lake Winnipesaukee, visitors camp, hike and swim. But Vincent was often found at a 70,000-square-foot indoor entertainment center called Fun Spot. 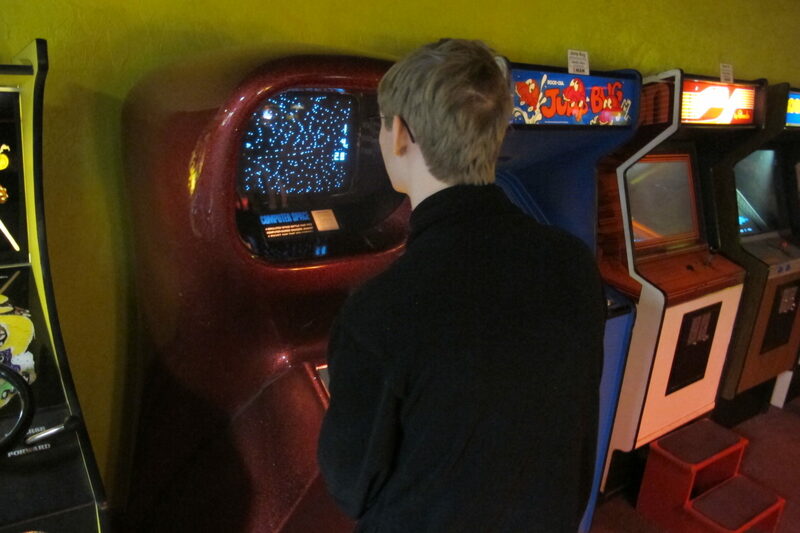 He liked to play the arcade games he couldn’t find back home in Connecticut. "Crazy Climber and Alpine Ski," Vincent says. "Alpine Ski never really caught on with a lot of people, but I got pretty good at it." In the summer of 1981, Vincent had just graduated high school. He took a fill-in job as a floor attendant at Fun Spot. He helped customers whose tokens jammed in pinball machines. He handed out prizes at the counter near the row of Skee-Ball games. The job was supposed to last three weeks. "Thirty-seven years later, I’m still here," he says. After a brief stint in college, Vincent took a managerial job at Fun Spot. He didn’t enjoy that very much. But business boomed. 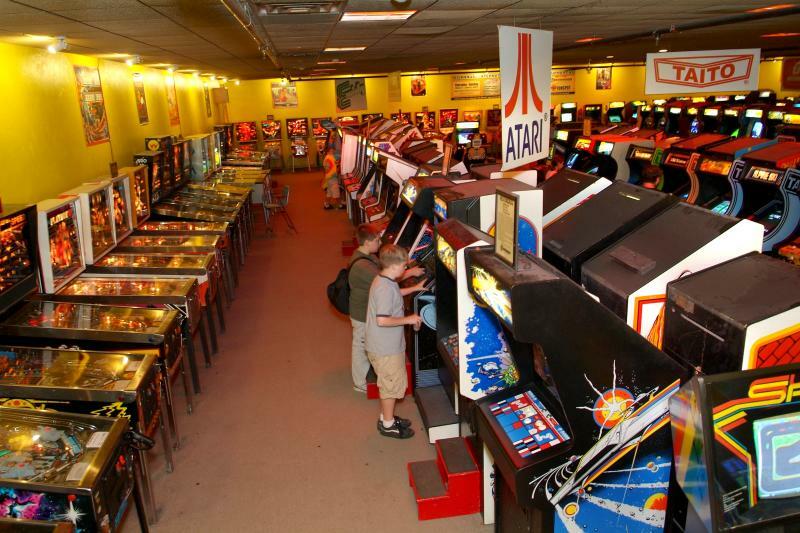 It was the golden age of the arcade, when customers put their tokens down and waited in long lines for a shot at games like Pac-Man, Donkey Kong and Frogger. But it didn’t last.
" ’83, ’84, is the era when the crash occurred," Vincent says. Affordable home entertainment systems like Intellivision and Atari offered arcade-quality graphics and game play. The big, bulky stand-up consoles were no longer in demand. People stopped showing up. 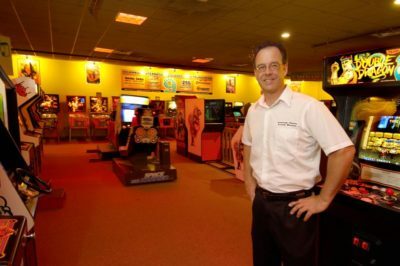 "Anywhere from 75 to 80 to 90 percent of arcades closed in a very short period of time," Vincent says. Thousands of Zaxxon, Galaga, Asteroids and other console games ended up in dumps. But Fun Spot survived. It had a bowling alley, kids' rides and lots of other attractions. It had ample space to store its big console games — and Vincent had learned to repair and maintain them. Then, in the early ’90s, Vincent noticed something funny happening when visitors showed up. "They would see a Defender on the floor, or a Pac-Man, and say, ‘Wow, they used to have one of these at the pizza place in town, but they took it out. So, I’m so happy you have a few of these games left,’ " Vincent recalls. That got visitors asking about other games they remembered. Vincent saw an opportunity. "September of ’98 was when I approached the owners at Fun Spot and said, ‘I wanna start a museum.’ "
They said yes. 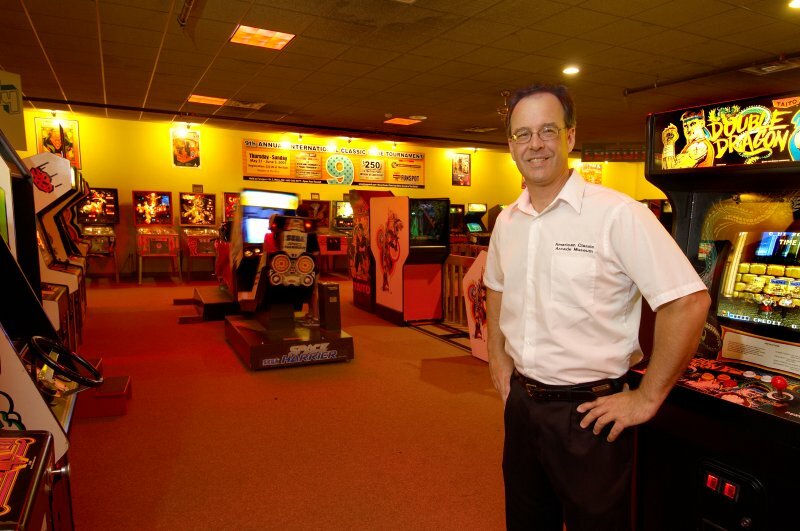 The IRS granted non-profit status, and the American Classic Arcade Museum was born. Gary Vincent was the curator. At first, he had his doubts. "Where are we going to go with this?" Vincent remembers asking himself. "Is anyone going to like it? Will there be any interest?" Undeterred, Vincent got to work. The classic games Fun Spot already owned were scattered throughout the massive building. So he shepherded them into their own dedicated 7,000-square-foot room. Then he worked on the atmosphere. "The room is darker than any of the other rooms that are in the building," Vincent says. It's louder, too. Vincent installed speakers in the ceiling that pump in ’70s and ’80s music. But Vincent wanted new — or, rather, old — games to add to the existing collection. 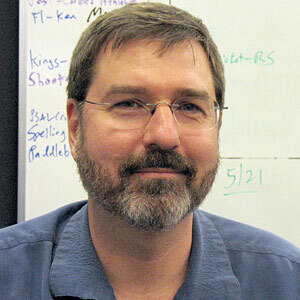 He visited trade shows and networked with game enthusiasts. Sometimes, the games found him. "Some person will come in and say, ‘Hey, I’m cleaning out the garage. My wife says “Throw ‘em out!” ’ I say, 'Well, don’t throw ‘em out. I’ll take ‘em.' "
He found games at yard sales and on eBay. They were in various stages of working order, so Vincent bought old control panels, marquees and industry-standard 19-inch screens. While juggling his other responsibilities at Fun Spot, he found time to hole up in his massive workshop to repair and reconstruct games. "And I’ll sit on a cabinet for 10–15 years trying to find the rest of pieces to put it back together," Vincent says. "And that is always very exciting to me. I don’t know why. Most people probably think I’m nuts. But that is what I enjoy." ACAM now features over 250 classics from the golden age of the arcade game. It’s the largest collection in the world. And visitors can play them all. But there was one game in particular that Vincent had his eye on. "I had always wanted a Death Race," he says. "And they were hard to find, because in 1976, when the game came out, it was very controversial." In Death Race, the player tries to drive a primitive-looking, black-and-white car over pedestrians ... who scream when they die. "By today’s standards, it would be, ‘Oh, it’s just a game where you run over these stick figures,’ " Vincent says. "But, back then, it was, ‘Oh! 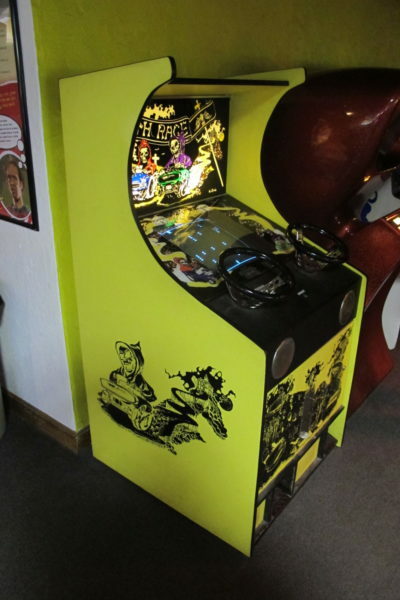 It’s violent.’ So a lot of them were pulled from arcades and destroyed." 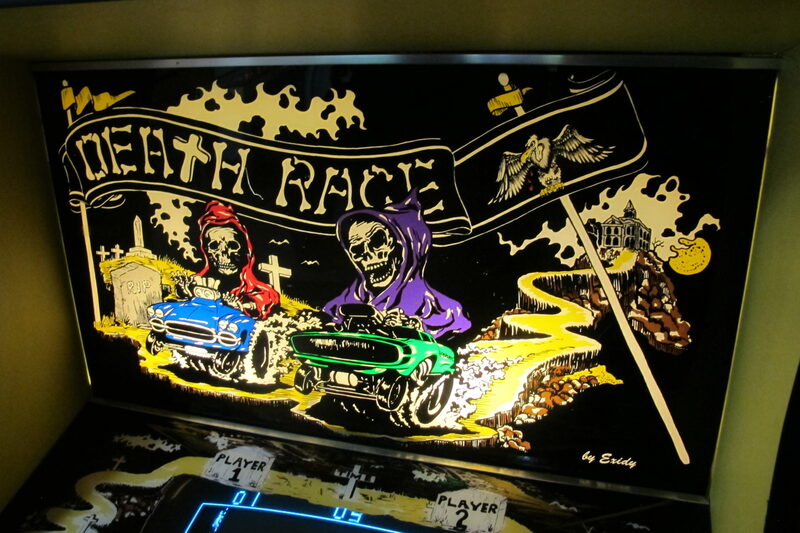 Very few Death Race consoles survived. But one day, Vincent saw one listed on eBay. It was the only one he’d ever seen with yellow and black graphics on the cabinet. So he bought it. He was thrilled. Weeks later, the game arrived. "All wrapped in plastic," he remembers. "And we’re cutting all the plastic away, and then you get that whiff — mold, mildew, damp dirt floor cellar smell. And it just became more overpowering as we cut more of the plastic off. And the smell was horrible." The fiberboard used on most arcade game cabinets is porous. It picks up odors if stored in areas with moisture. "And animals," Vincent adds. "Big problem. A video game is basically a gigantic mouse condominium. So now I’m starting to think that I have this $1,500 boat anchor. And I moved the whole mess up into the shop, wrapped it in a tarp — and it sat there for a year and a half. "And then one day, I had some time, and I said, ‘You know what? It’s now or never.’ "
Vincent decided to rebuild the cabinet from scratch. "I posted on one of the game forums what I was doing. So one guy in Florida says, ‘Well, I can scan the artwork for you.’ In the meantime, another gentleman out in Oregon said, ‘I do silk screening. I can make the screens.’ So he flew in and spent a day in my shop with me putting silk-screened artwork back on that game." Vincent placed the fully-restored Death Race on the ACAM floor. I’ve played it, and it doesn’t smell anymore. 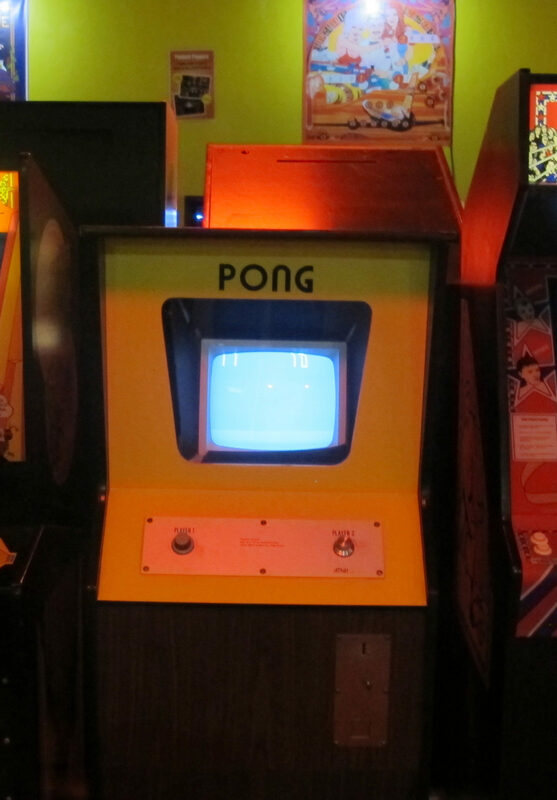 It’s one of the museum’s many gems, including a 1973 version of Pong and Computer Space — the first commercially-available video game — released all the way back in 1970. These days, ACAM is an educational resource for enthusiasts of all sorts, including game club members and students from New England colleges. On my first visit to ACAM, I watched as 200 game design majors from Champlain College arrived on a field trip. They stormed ACAM’s aisles like a swarm of aliens from Space Invaders. "And I always enjoy watching that," Vincent says. "They’ve grown up in an era with amazing graphics, sound — put on the headphones, and you’re in another world. These games are so old. They are playing games that were made before they were born. "Always brings a big smile to my face when you see parents teaching their kids how to play the games they played when they were younger — ‘Here, let me show you, because I was really good at this!’ "
On that first visit to ACAM, I was there with my wife and our son, Daniel. He’s one of those Game Design majors from Champlain College. We located some of the games my wife and I played together in our college student union; Dig Dug, Centipede, Millipede and Q*bert. My son watched over my shoulder as I guided the cute fuzzy orange Q*bert away from the bouncing purple snake with the nasty looking fangs. And I realized something: Daniel is exactly the same age I was when I began playing these games with his mom. I cleared Level 3 and leaned in closer to the screen. I couldn’t see too well. There was something in my eye. 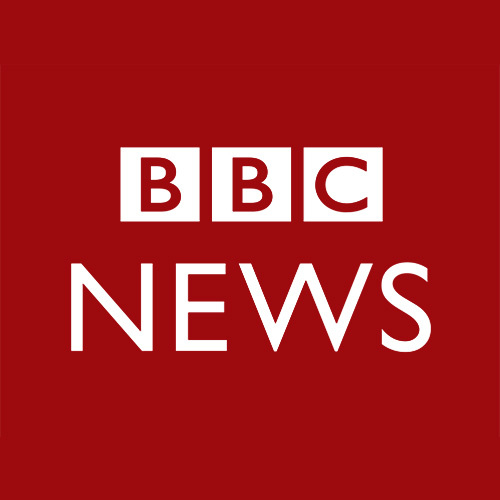 This segment aired on February 16, 2019.